Hello I'm a female 5'7" tall 129 pounds and don't know % of body fat. I have had 2 right knee replacements within 11 months. I have lost a great deal of muscle mass to my quad and have been having a hard time with pain due to the exercises with weights and stepper I have been using. My ortho doc told me to change exercises and don't use weights. That's all I have ever done. What other effective exercises can I do that won't cause joint pain but will rebuild my quad and hamstring muscles. 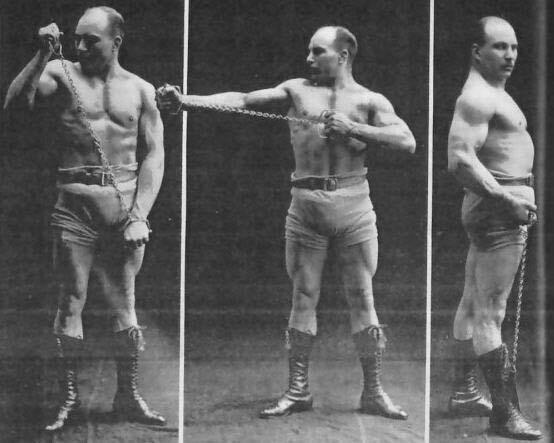 Back in the early 19th century before dumbbells weights even existed people used isometric exercises to build muscle. Isometric exercise is a static contraction at a given joint angle where the muscle is under tension but there is no lengthening or shortening of the muscle. Isometric exercises have always been a good way to build strength and muscle. The limitation with isometric exercises is you only strengthen the muscle at the range of motion which you hold the contraction at. This being said you should try to perform isometric exercises at different angles. You could begin by placing light ankle weights on your ankles and squeezing your quadriceps at various angles for 30 or so seconds. You could progress to the wall sit at different angles (right). For your hamstrings you could do some low impact stability ball exercises such as the stability ball hamstring curls. Remember to always exercise within your envelope of function meaning if it hurts, don't do it. Start off slow and you can progress to more difficult exercises.